Amber is a symbol of happiness and health. And I am pretty sure, you must know it very well already if you’re following our blog. But if not, subscribe to our blog and get the latest updates and the most interesting facts and information about amber and lapis lazuli straight to your box. Check also our posts on Amber Gemstone Meaning or Amber Healing Properties to learn even more about amber. Believe me, even if you are an inveterate skeptic, a simple glance at earlier description of this stone’s history will make you agree that all its properties have something magical and inexplicable. 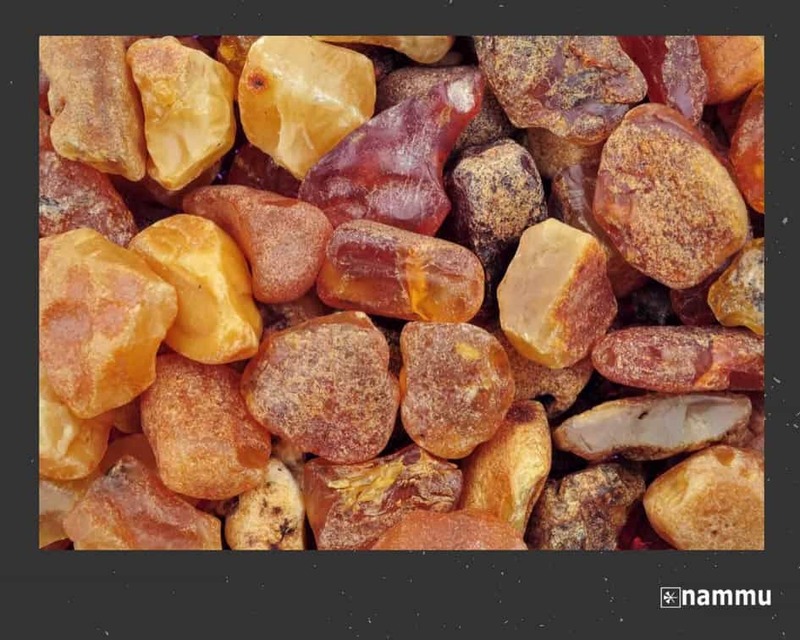 Thousands of years ago people were fascinated by the extraordinary, inexplicable properties of the golden pebbles found on beaches and in coastal forests. The stone burnt when cast into the fire, exuding a pleasant resinous smell and aromatic smoke, and, when rubbed, attracted various small light items towards itself as if by magic. The stone interior would often hide small undamaged plants and insects, which must also have found their way inside by magic. That sufficed to arouse the curiosity of primitive man, with admiration & respect for this unusual gem. It is no wonder man started attributing magical powers to amber. In ancient times there was a belief: if you put a piece of amber on the chest of your wife, then during the sleep she will admit in all her bad deeds. How convenient, huh? Of course, at Nammu we do not believe in this particular fact to be true, but we, for sure, know what are the roots of it. In any case, you can always buy a piece of amber and test it! Following story can be stimulated by curative properties of amber to pull negative emotions and absorb the painful symptoms. In ancient times through, it was necessary to perform these rituals very carefully, because any manipulations with precious stones and other ritual objects were considered a witch appendage. It simply wasn’t manly and was a little bit dangerous for the social status. 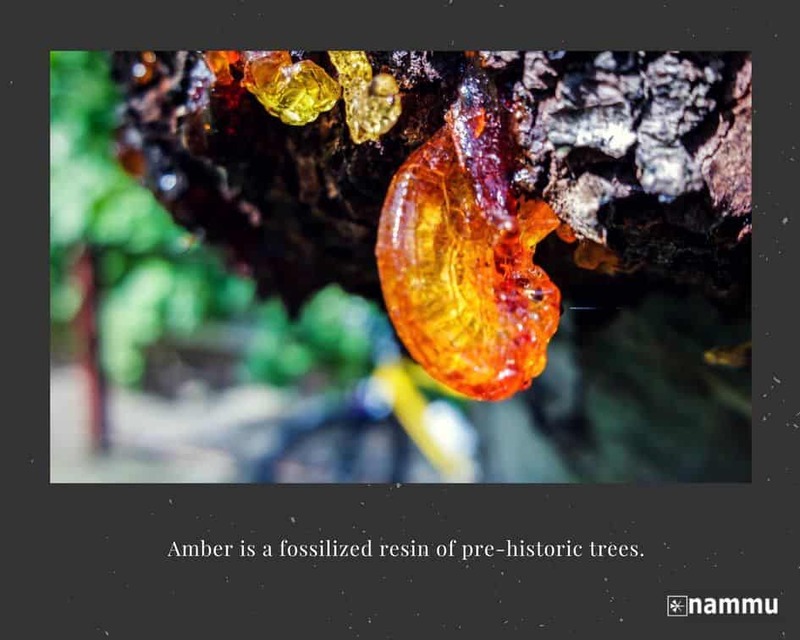 Amber is usually called the magical resin of pre-historic trees. 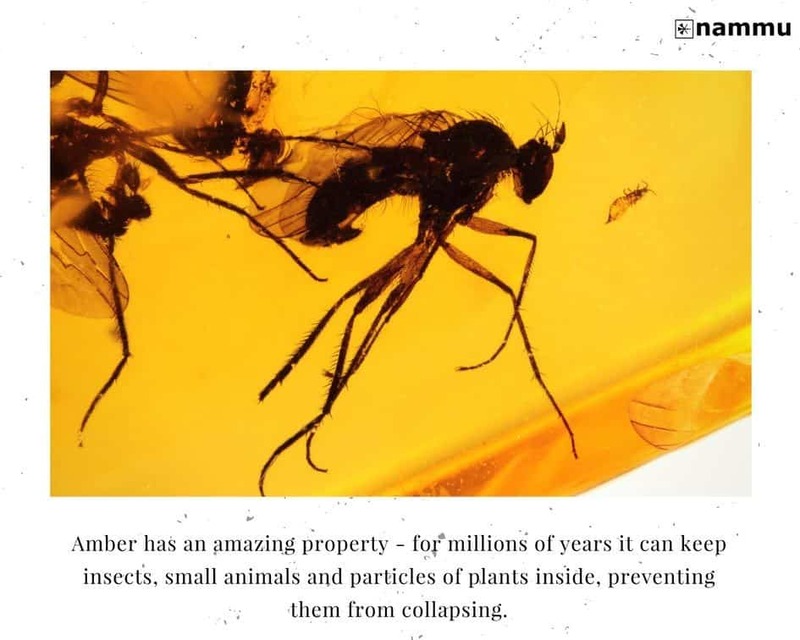 This comes from the very origins of amber emergence. 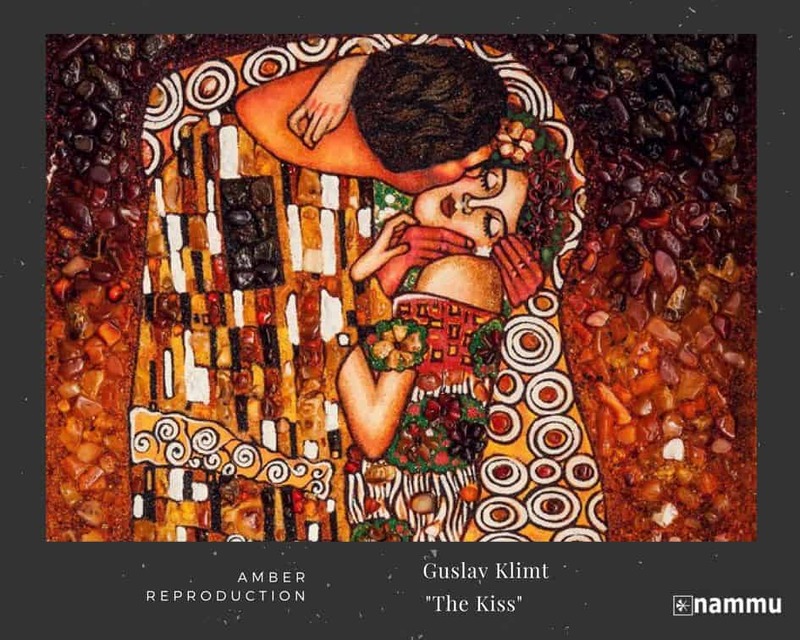 Check our What Is Amber post to learn more about how amber was actually created. 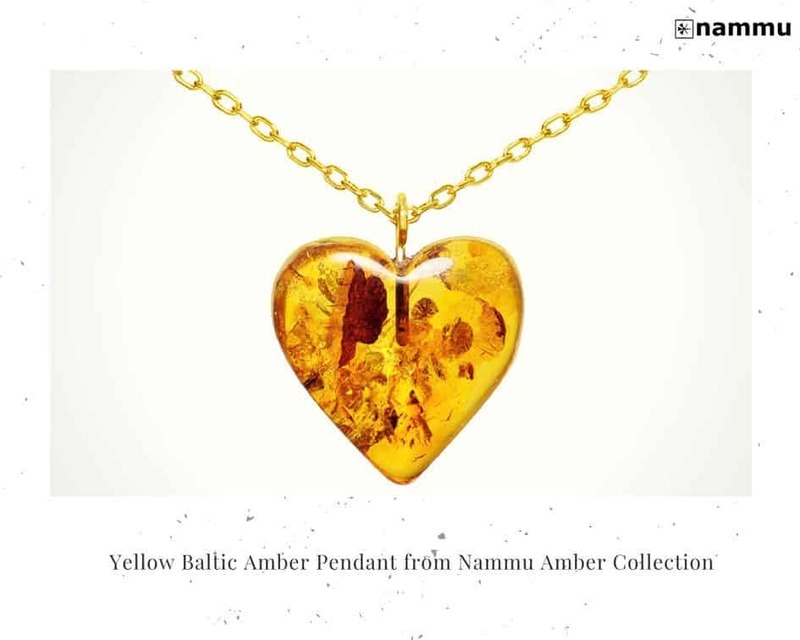 If you know about how amber was created, then the fact that amber is associated with the smell of the forest and shine of the sun is quite obvious for you. It’s believed that amber warm golden color clarifies thoughts and helps to implement plans. 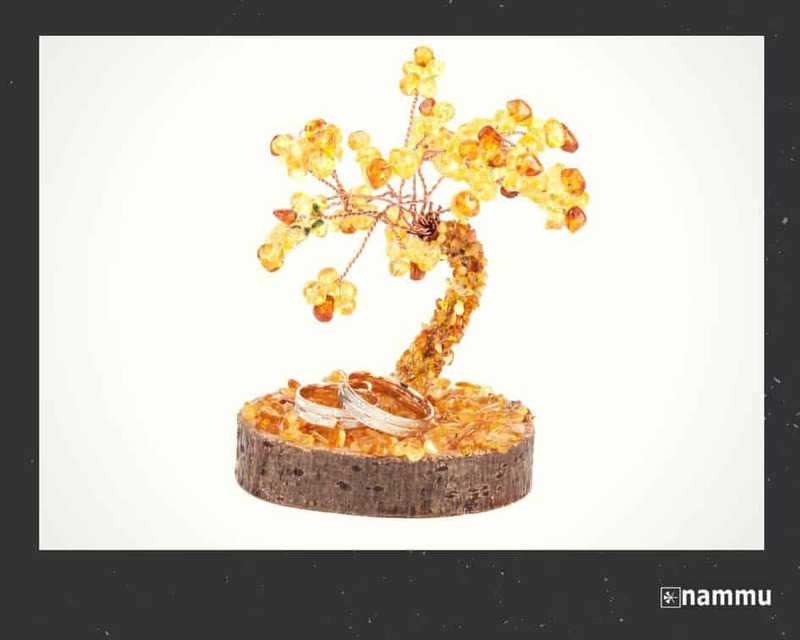 Amber magical properties are especially extolled by representatives of creative professions. 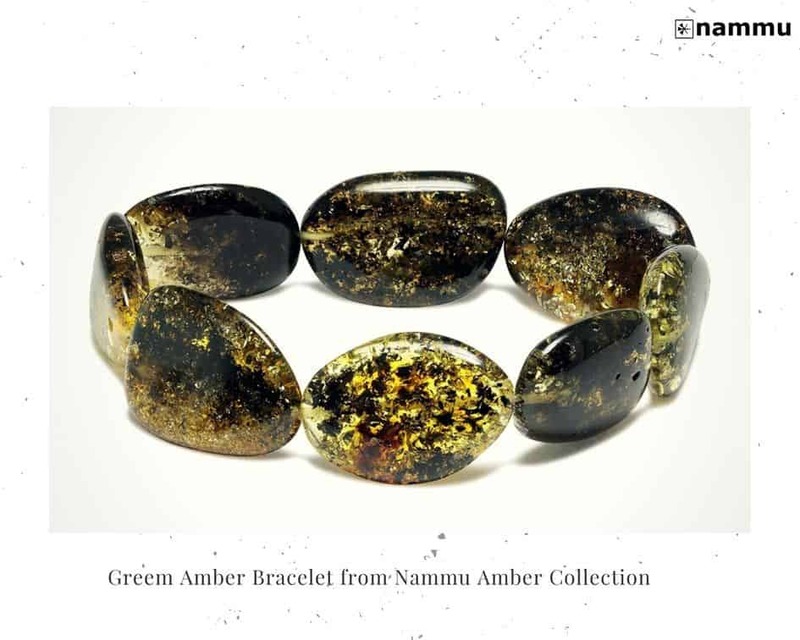 Artists, writers, designers … all of them are quite superstitious and believe that jewelry made with this stone is endowed with strong amber magical properties and help the wearer to create something unique and beautiful. In pre-Christian times small recess in the amber stone were considered a habitat of the good spirits, so amber with dimples was valued very highly. In those stones, that resembled the shape of a head, ancients were making holes and worn them around the neck as amulets. 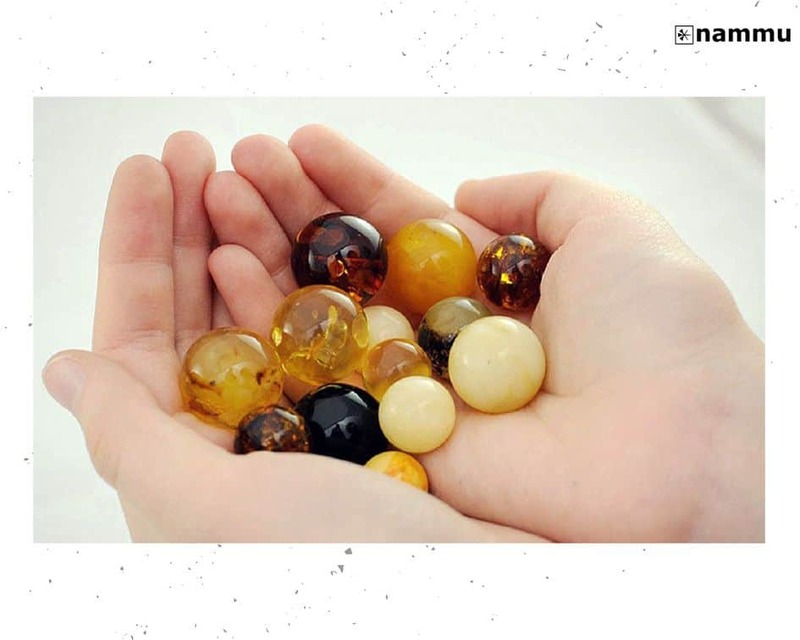 In the modern world its naturally that a round polished transparent amber, where you can see a world of bright rainbow colors, is more valued. By the way, number of business representatives and finance world gurus wear amber around their necks or just carry a piece of amber in their pocket “for a good luck.” Angela Merkel, for example, is one of the most dedicated amber fans. 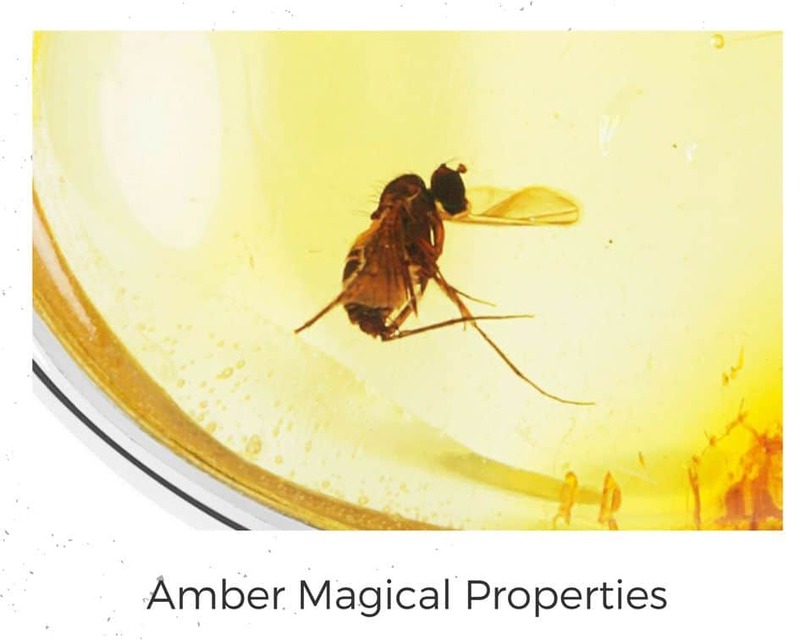 In addition to physical healing as we said previously in our post about amber healing properties, amber gives a lot of pleasant changes with amber magical properties on psychological, emotional and mental level. 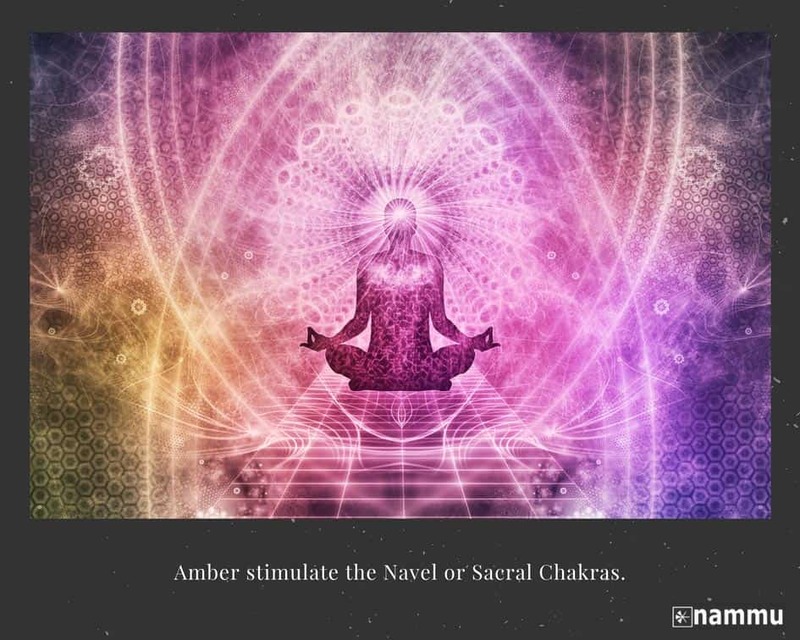 If you’re familiar with Chakras, you might find it interesting to know that the gold and orange shades of Amber stimulate the Navel or Sacral Chakra. Gold or orange crystals are used to unblock the energy flow and restore one’s sense of balance, understanding and appreciation of life. When the Sacral Chakra is in balance one has grace, feels pleasure in life, and experiences the flexibility to “go with the flow” and do so in good spirit. Opened Chakras help in an acquisition of self-confidence, self-realization, the awakening of creative bases, ability to form opinions and to convey them to others properly. For business people, wearing amber jewelry in the throat area as talisman, gives independence and freedom. When talking about astrology, Women-Lions need to wear ring and earrings with amber as a talisman. It will save them from the evil eye. Men-Lions should wear cuff-links, pins for the necktie and amber key chains to increase vitality and to strengthen intuition. Generally amber is suitable for almost all signs except the earth sign of Taurus. However, even if a colleague of mine is Taurus, she have a bracelet made of green amber and feels great with it. Don’t forget that Taurus is considered to be one of the most creative personalities, who needs artistic energy nourishment. Energy of a raw stone has a great amber magical properties: it gives beauty, longevity, attracts true love. This stone charges optimism, heals from depression, gives vivacity and cheerful mood. Amber necklace as a gift to the bride is a symbol of marital happiness. In Italy, this stone is considered an amulet of fertility and wealth. In ancient Greece, people believed that amber has a sun power and distinctive features of Venus. Pieces of stone, with insects or leaves inside, have been considered a powerful magical tool that could do both good and bad deeds. Earlier, to protect the house from fire and lightning people kept a few items of amber in rooms. Following tradition is still in place. 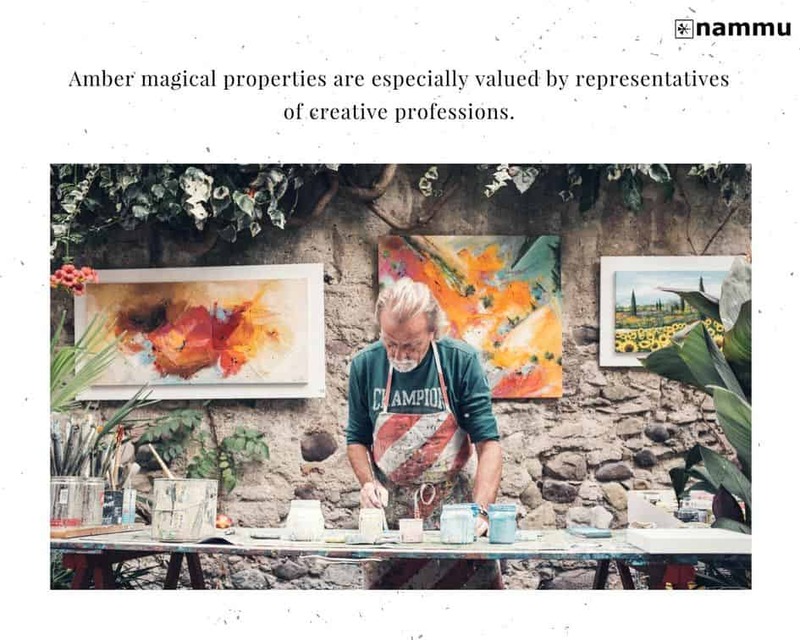 Currently, it is quite popular, in Eastern European countries especially, to have trees, paintings’ reproductions and other artworks made of amber placed in working offices. Amber was also attributed for antidemonic amber magical properties – so in the Middle Ages people made rosaries and other religious items from this stone. A belief that children who wear amber around the neck grow up healthy and strong has been preserved up to now. Modern astrologers and healers assess amber as the creativity stone that strengthens faith and optimism. If amber is located in a contact with the body for a long time, especially in the form of necklaces, pendants or earrings – it will output the astral slags. 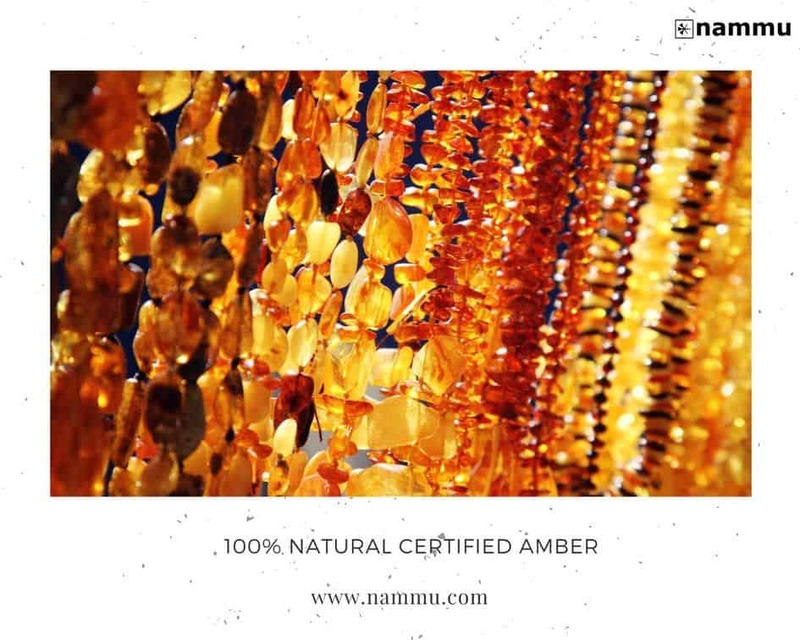 Experts in the field of alternative medicine claim that amber jewelry provide an aura protection and thus help to protect from negative influences (spoilage, the evil eye and curses), as well as to get rid of existing ones. Thus, amber magical properties are fueling the body with a missing energy, which is a foundation of a human health. Natural amber jewelry will strengthen your intuition and faith in yourself, will help to achieve any goal.